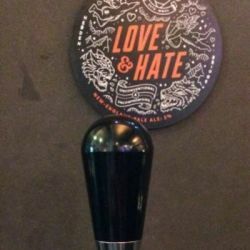 UPDATED: FEB 2, 2019 Draught at Taphouse. Hazy amber coloured with a small white head. Fruity aroma of hops, resin and pine needles. Fruity flavour of hops, resin, grass and pine needles. Hoppy finish. UPDATED: DEC 3, 2018 7.2 %. Piwo pomarańczowe, mętne, z białą pianką. W aromacie przyjemne słodkie owoce tropikalne i cytrusy. W smaku jest soczkowo, są owoce tropikalne i cytrusy. Na podniebieniu pozostaje taki lekki gorzkawy, grejpfrutowy aftertaste i delikatne pieczenie w przełyku. Wysycenie niskie, dosyć gładka i kremowa faktura, alkohol niewyczuwalny. Nie powaliło mnie to piwo, aczkolwiek słabe też nie było. UPDATED: SEP 30, 2018 Floral tropical strong fruit aromas. It pours a hazy, dank huey opaque puddle water. This is one beautiful, complex layered drink. Like Dantes '9 spheres of heaven'. As you experience the beer, you ascend further towards the Empyrean. The aromas, the scent, the full on sensual on slaught of sweet and bitter flavours. Fruit comes at you in different stages, and with different tastes. Peppery Mangoes, bold citrus fruits tropical pineapples, all collude and work together with the piney resinous dank hops with a mildly bitter alcohol payoff to overpower you in to submission, and coax you down the road to wanting another. Throuroughly drinkable and highly smashable. A fantastic brew. UPDATED: SEP 27, 2018 Minimal bright white head on this bad boy. Very cloudy. Minimal light penetration through the glass. Astonishing peach hops on the nose. Just keep going back for a nose full. Only slightly effevecent but that peach hops nose carries right through to the mouth. Sweet peaches first up, then smooth as you swallow, with a lovely bitter aftertaste that really lasts. The alcohol taste is there, as it should be at 7.2% but not dominant. At least in the mouth; it will definately dominate the head! I really like this beer. UPDATED: SEP 18, 2018 Hazy deep orange appearance.Mango dominates aroma. Great hoppiness throughout. Gentle bitterness with a subtle but lasting aftertaste. Another great Vocation beer. UPDATED: SEP 18, 2018 440ml can from Tesco. Massive hop aroma, hazy muddy orange colour with soon diminishing. Fluffy white head. Sharp pithy citrus hops dominate the taste. Appearance true to NE IPA style but probably a little too bitter, though I quite enjoyed that it wasn’t overly sweet. Soapy herbal finish. Great and a bargain at £3. Can. Pors hazy blond with a good frothy white head. Nice fruity grapefruit aroma. The taste has plenty of grapefruit and pineapple up front before spice and a slightly herbal bitter finish. Goes down easy. Nice. Can. Is really refreshing and quite citrusy, tropical fruit and flowery with some almost bretty' spice. Drinkability is super high - I could drink a lot of this and still want more.